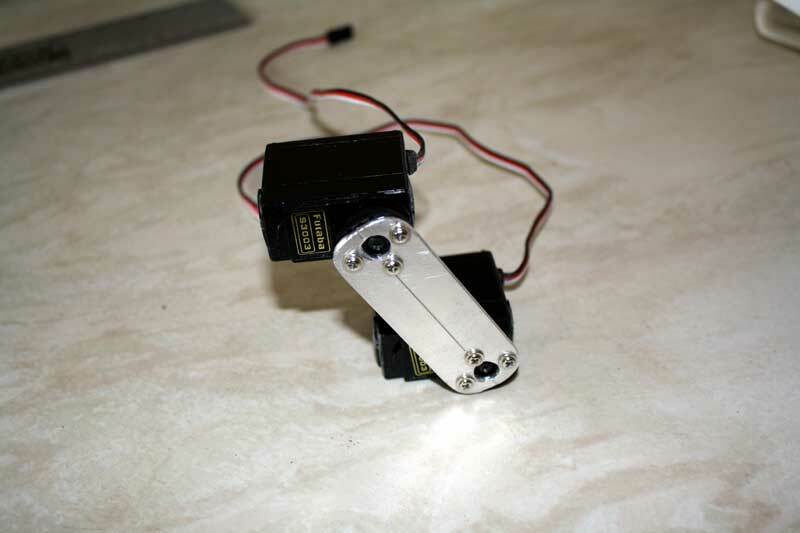 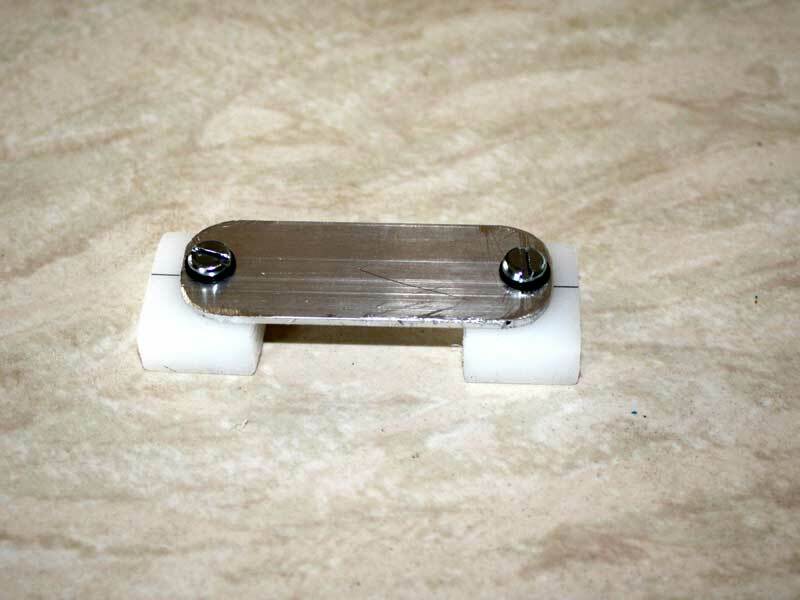 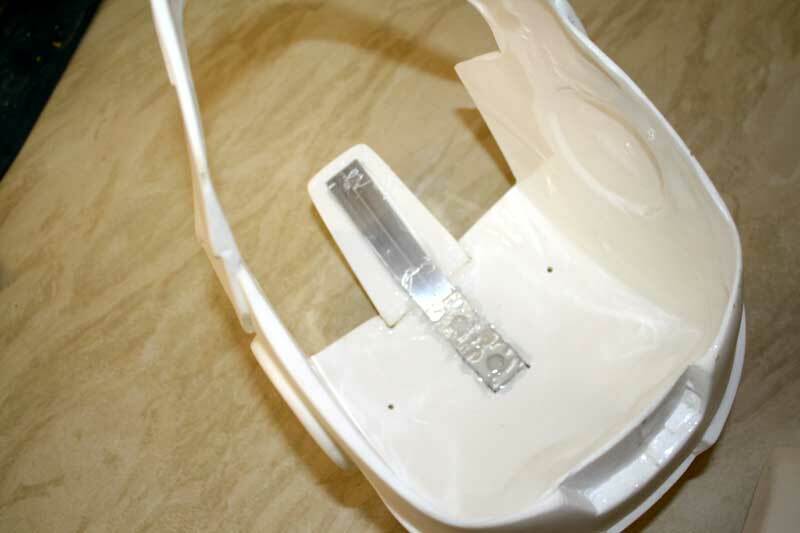 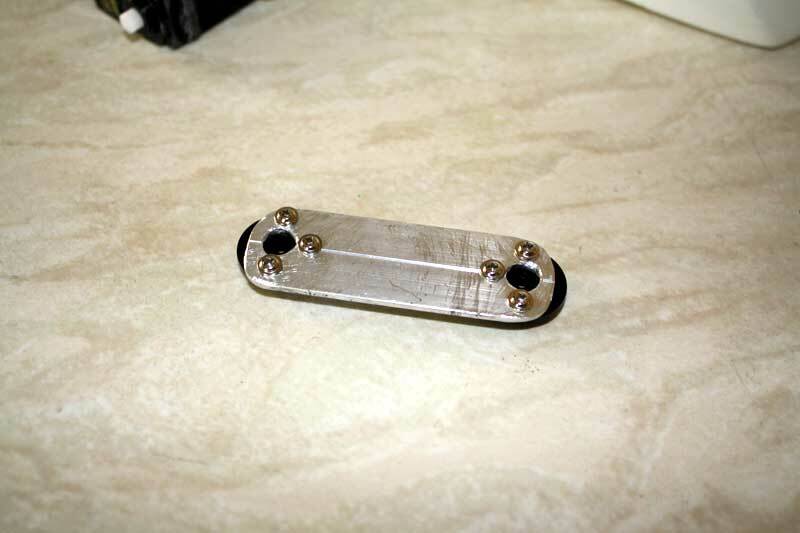 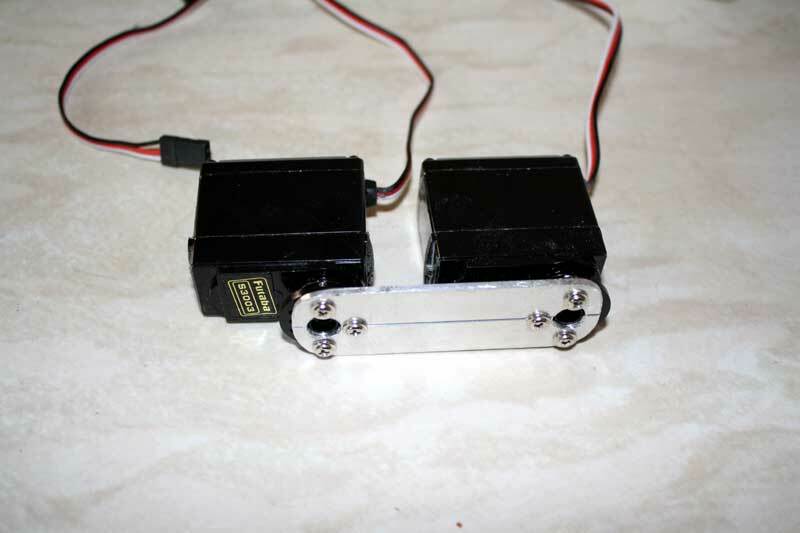 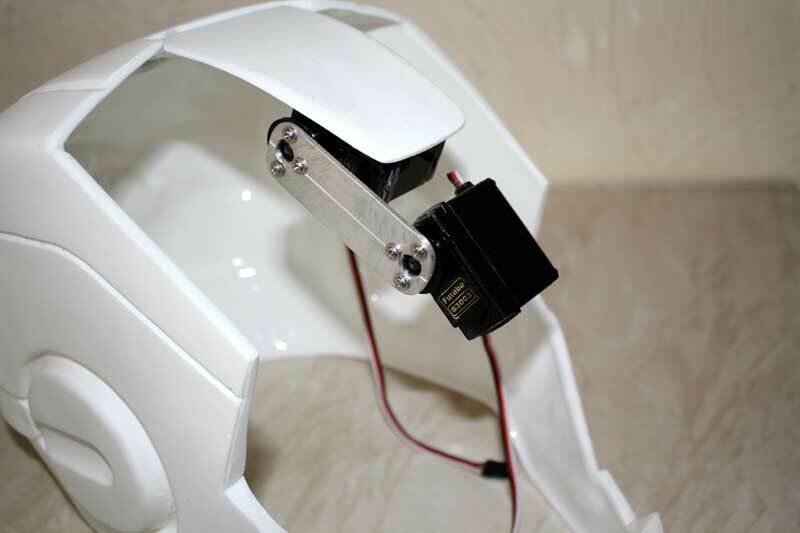 This page is about the motorised faceplate, check out the main project index for the rest. 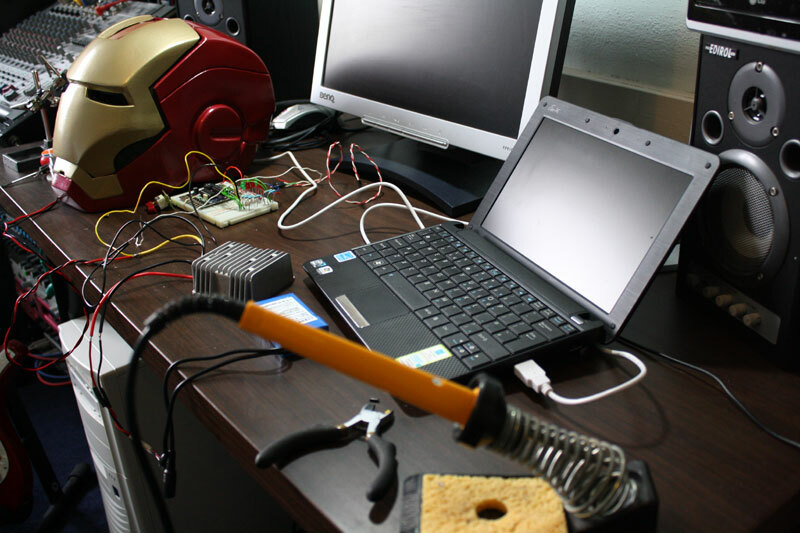 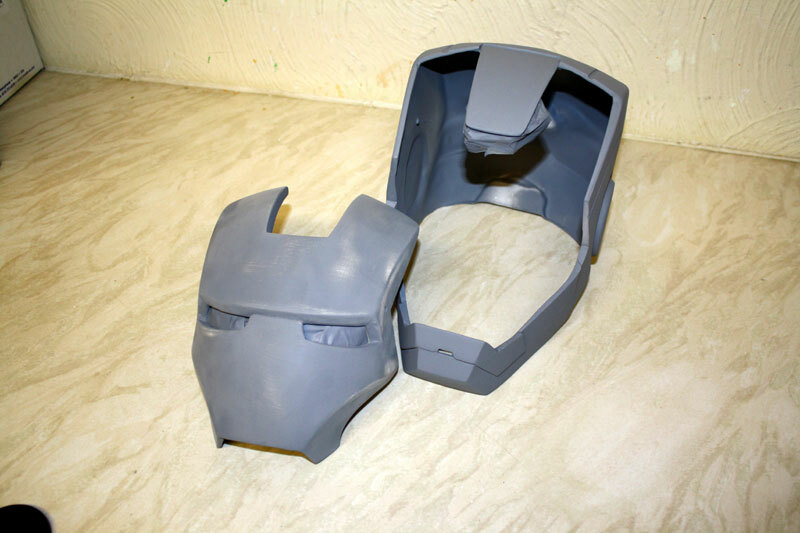 Here’s some information on how I motorised my Iron Man faceplate. 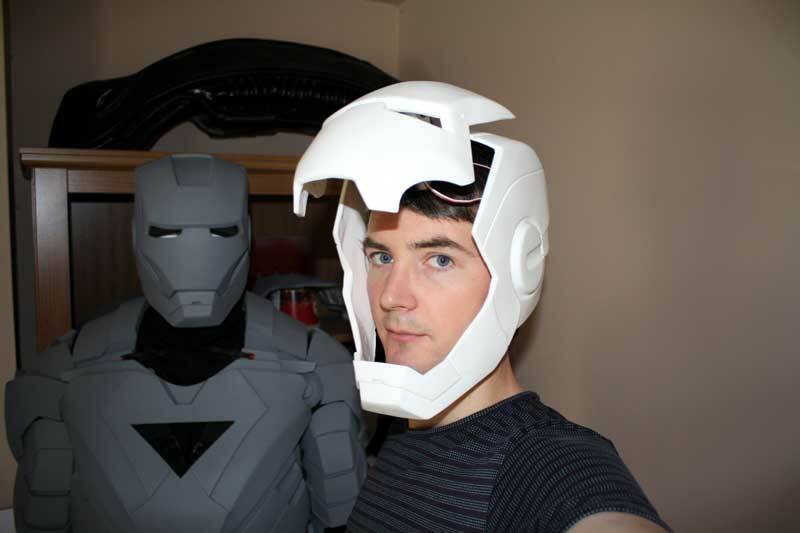 The helmet I used was one of my Polyurethane plastic casts. 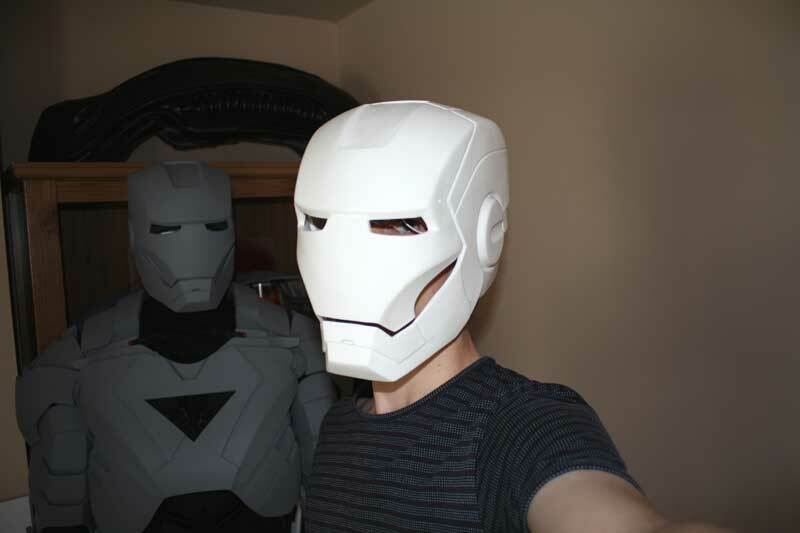 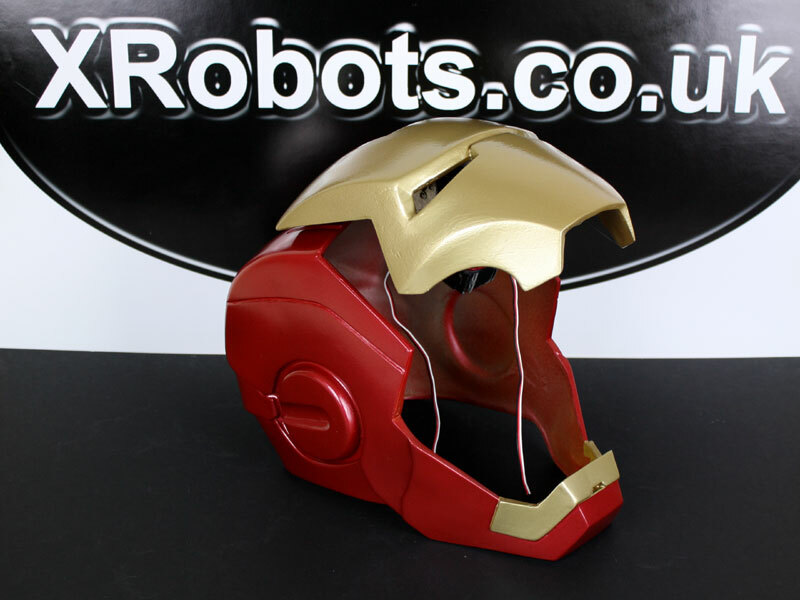 I decided that it would be pretty cool to motorise the faceplate for my Iron Man helmet, just like in the movies. 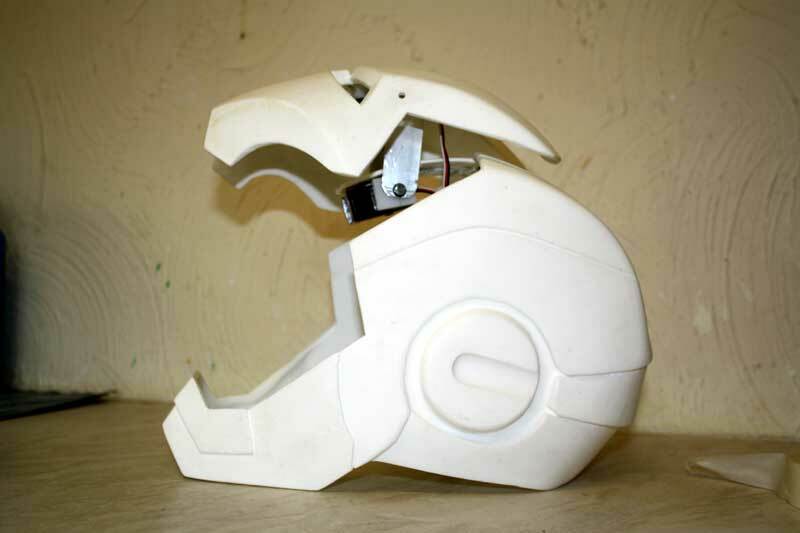 This is how I’ve decided to go about it, I’ll be adding more updates and a video to this page as I finish the helmet up. 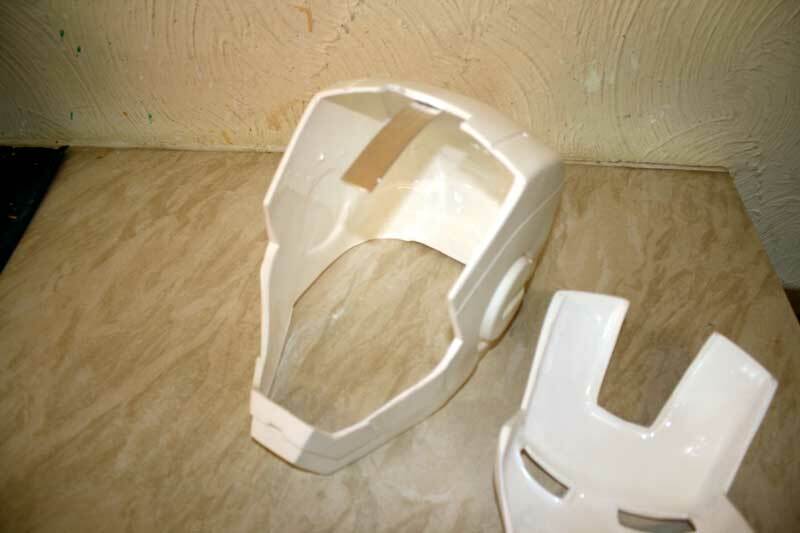 I’ve made a nice foam liner around the seam line of the faceplate, this means it has something to rest/fit against when it comes down. 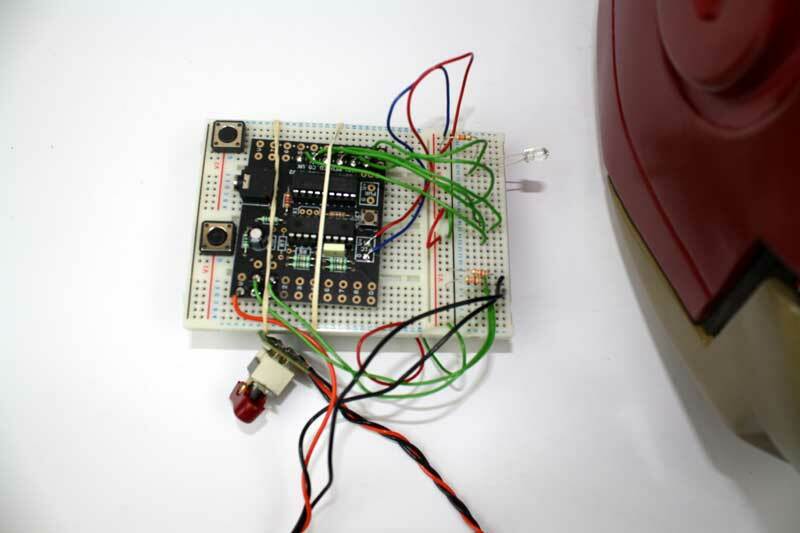 I’ve done some testing with a Pololou Mini Maestro servo controller controlled by a Picaxe18 for now. 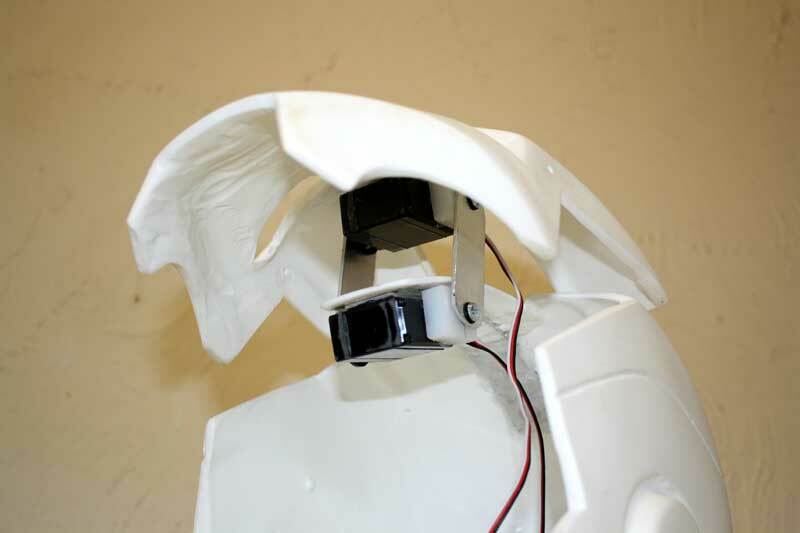 This is the same as Android 11. 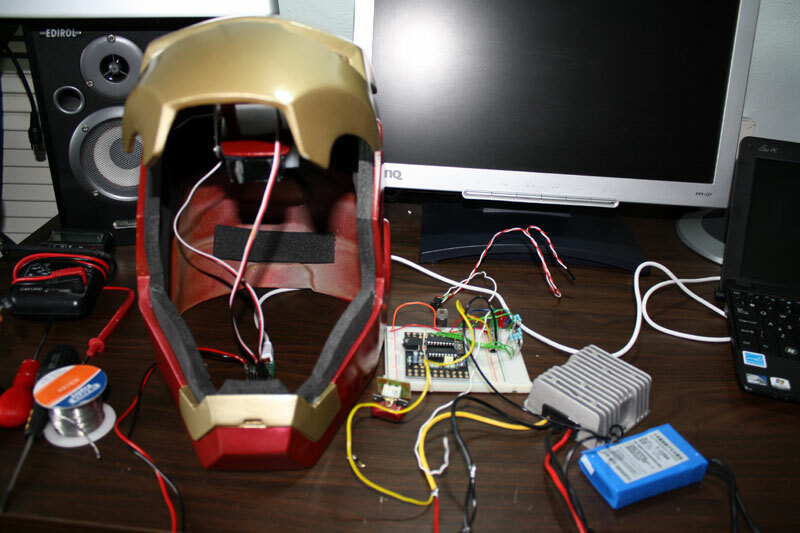 I have now made the helmet entirely wireless, with everything on board. 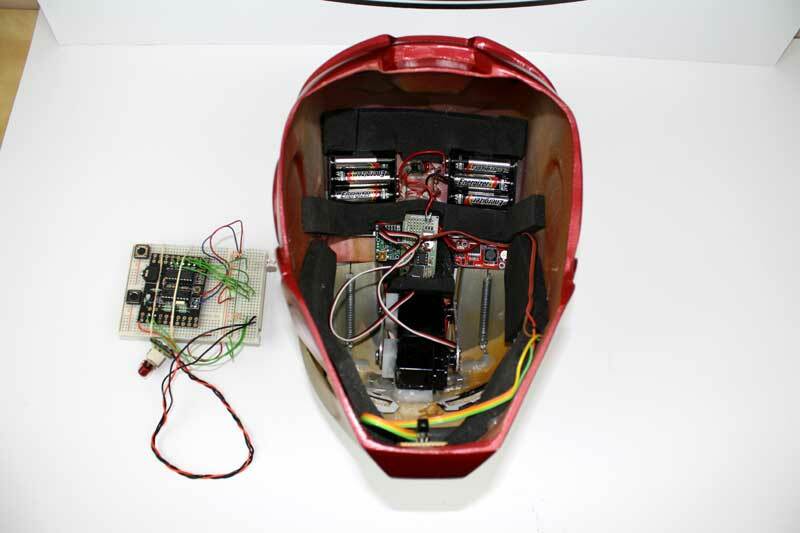 In the picture there are 6 AA batteries, a Picaxe-08 board, a servo controller, a 3A adjustable regulator to power the servos, and 5V fixed regulator for the electronics, and an Infra-red receiver. 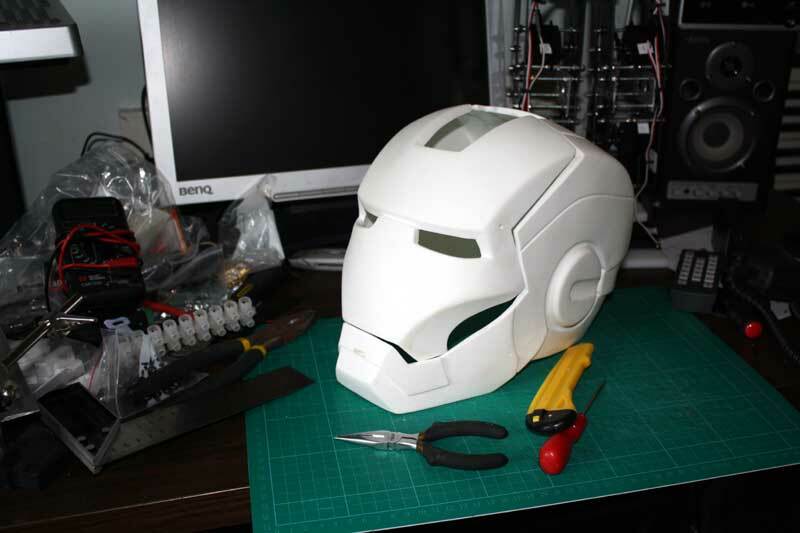 The transmitter will also be based around a PICAXE-18 and built into the suit.